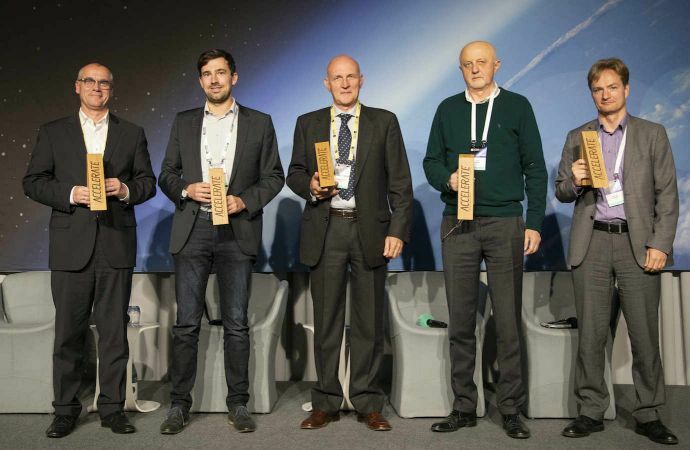 On the 21st of November 2018 Sergio Girotto received awards for advancing natural refrigerant adoption at an ATMOsphere Europe ceremony. The awards ceremony was held during the ATMOsphere Europe conference at Lago di Garda, Italy (19-21 November). The five awards recognize the companies and individuals that have done the most to advance natural refrigerant adoption in three categories. The winner of the Person of the Year award is Sergio Girotto, president of Italian manufacturer Enex; the Best-in-Sector awards went to METRO AG (food retail), Unilever (light commercial) and E.ON Sweden (industrial) and the Innovation of the Year award went to GEA for the BluQ. Girotto has patented a number of products and system designs. Among his personal favorites is a liquid ejector for overfeeding evaporators, the potential of which he believes is yet to be fully exploited. 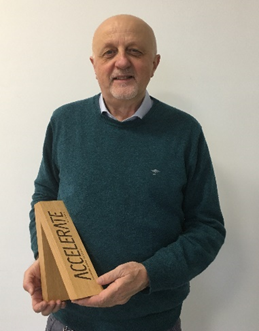 “It could be the Columbus’ Egg for further simplifying refrigeration systems,” he told Accelerate Italy magazine in an exclusive interview about his career and his vision for natural refrigerants.